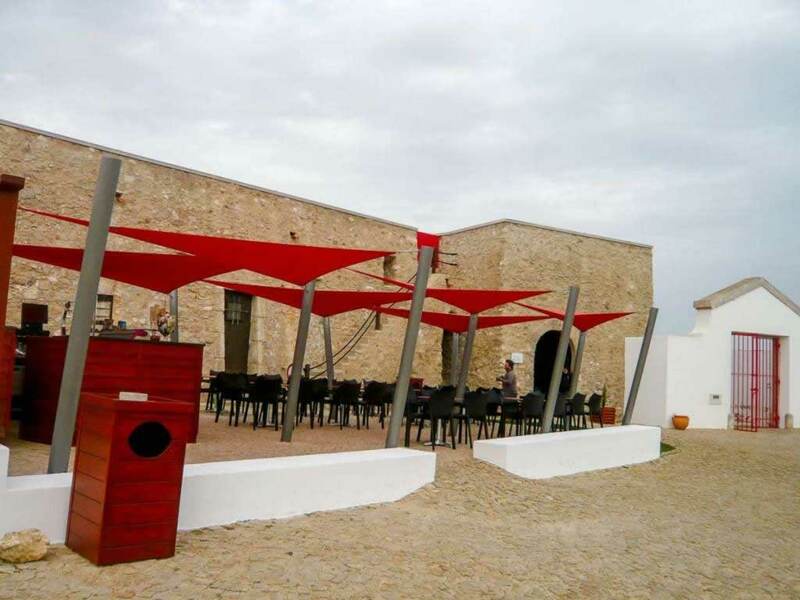 If you are a party animal, you won’t like Sagres Portugal, as it has nothing to do with the lively nightlife of other resorts in the Algarve. 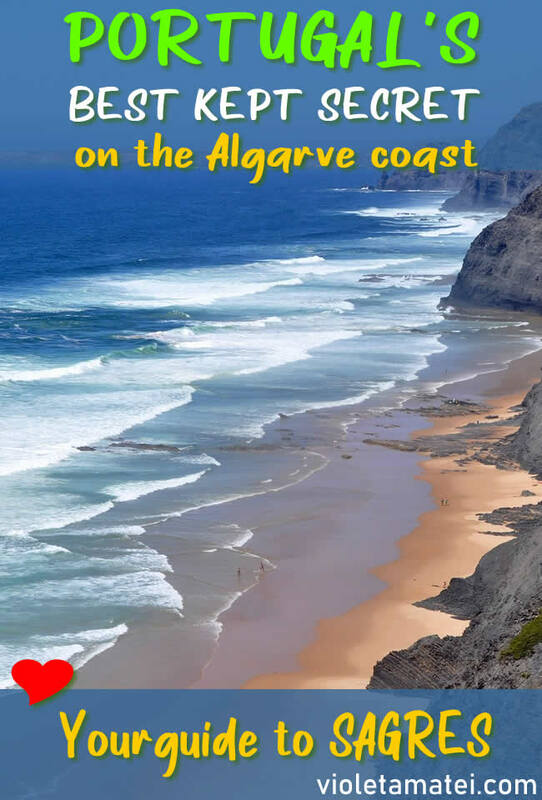 If, on the contrary, what you want from an Algarve vacation is to relax and to enjoy nature at its best, Sagres Portugal will be your dream destination. The nearest airport to Sagres is Faro. At almost 120 km distance from Faro to Sagres, taking a taxi will set you back anywhere between $130 and $160. Taking a Uber will cost you slightly less, but this may also go beyond your budget. While it is possible to get from Faro to Sagres by bus, the journey will take over three hours, because you have to change the bus in Lagos. If you want to visit some of the lovely towns and villages on the Algarve coast of Portugal, I’d strongly suggest you rent a car. I had my own car, as I’ve been to Sagres, Portugal on a road trip crossing Europe from east to west. Driving in Portugal is easy. People are laid back and polite, so you won’t need to put up with crazy drivers honking at you as soon as they see the green light. Finding parking isn’t usually difficult in these small towns and villages on the Algarve coast, particularly outside the peak season. Beware of the highway fees, as you must pay them in advance. You can either pay them online or at the local post offices. Asking locals for directions is tricky, due to the very difficult pronunciation of Portuguese names. Here’s how you pronounce Sagres, for instance. I bet you wouldn’t have guessed it, would you? When I was living in the Algarve, I had a hard time at making myself understood by local people, although I used a Portuguese dictionary. Asking my Portuguese friends to read those words, I realized why they didn’t understand anything of what I was telling them. Sagres was one of the first words I learned to say correctly. Maybe that’s because it is also the name of a local beer. This region is a paradise for all outdoor lovers. 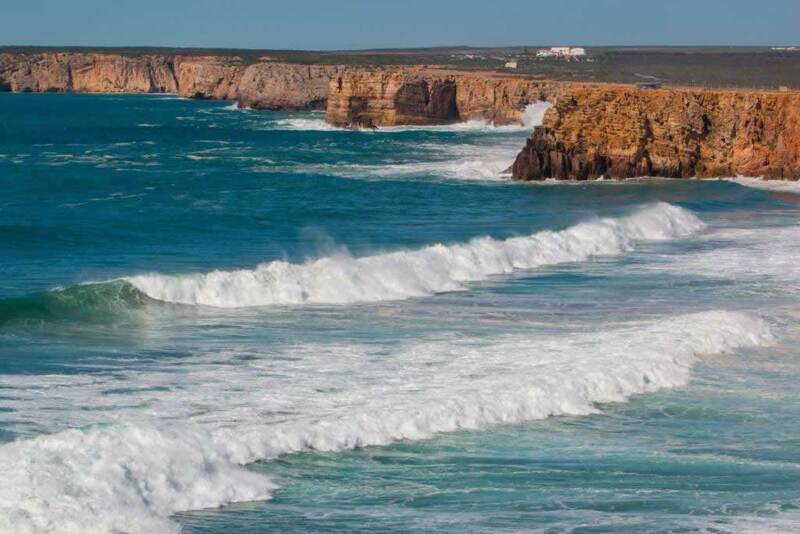 If you are a surfer, you have one more reason to book a vacation in Sagres. Nonetheless, non-surfers have lots of outdoors adventures to choose from. The hiking trails and the bicycle roads take you to stunningly beautiful wild areas where luxuriant vegetation meets sandy beaches and high cliffs. If you want, you can take surf lessons, as there are many surf centers and schools in Sagres. There are also beaches for beginners, so you don’t have to worry you’ll get swallowed by the ocean. There are four beaches near Sagres: Praia da Mareta, Praia do Tonel, Praia da Baleeira and Praia do Martinhal. They face three different directions, and this has an influence on the height and the power of the ocean waves. A bit further from Sagres there’s Praia do Beliche, which is very popular among local surfers. 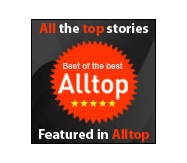 In terms of accommodation, you’ll find lots of hotels and apartments. 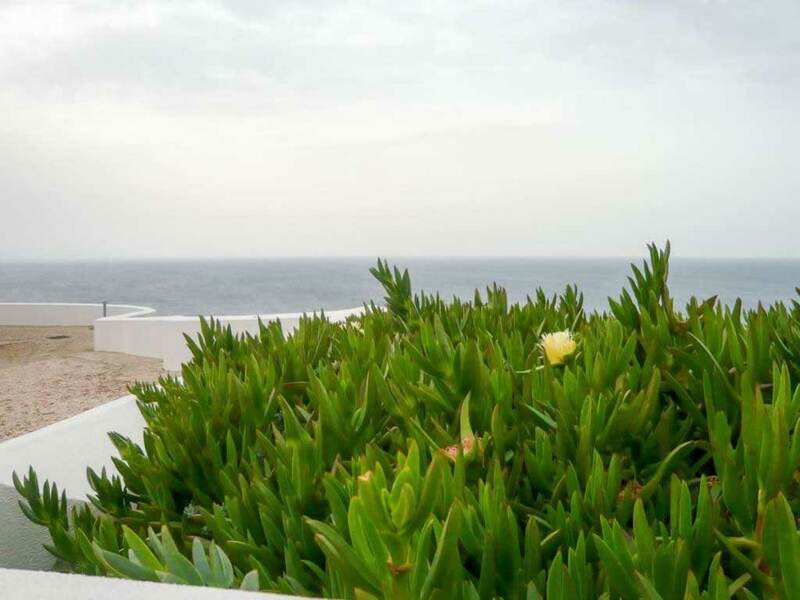 Here’s a list of Sagres hotels you may want to take a closer look at. 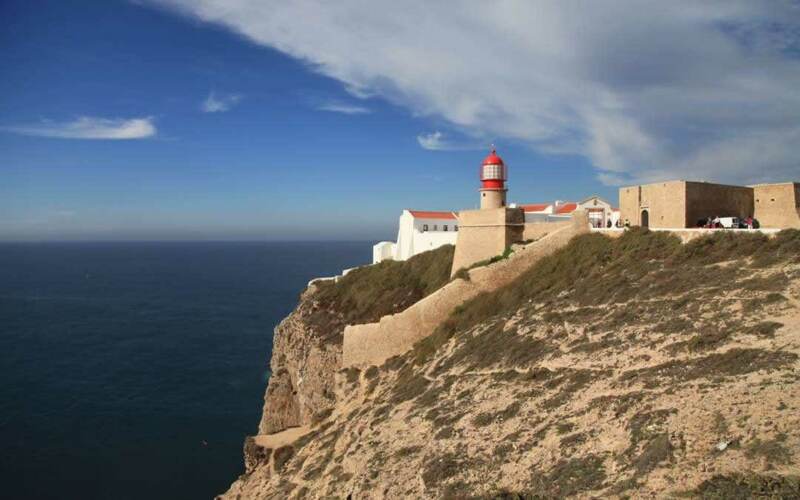 Keep in mind, though, that Sagres Portugal isn’t your average holiday destination. Apart from surfing, hiking and cycling, there’s not much to do here. If you need a silent place to write a book, do work or find your inner peace, this area of the Algarve is the place to go. If, on the contrary, you want all inclusive hotels, beach bars and parties, this is not the place for you. 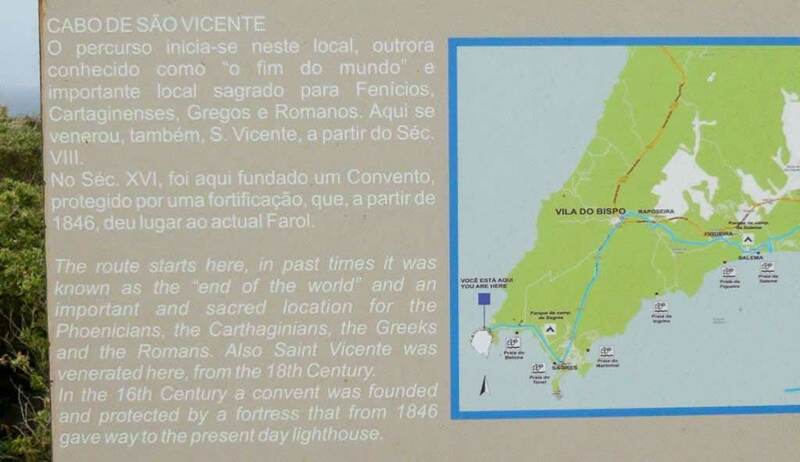 Cabo Sao Vicente is the actual reason why I visited this area in the first place. 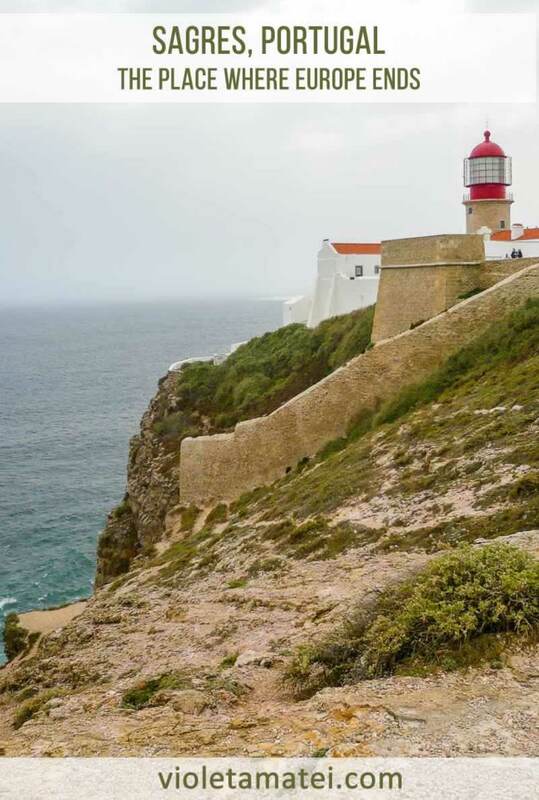 I was living in Pera, a small village very close to Albufeira and I took a chance to see the southwesternmost point of Europe, Cape Saint Vincent. I think it was January or February. The weather was mild, perfect for flip-flops and shorts. There was nothing like the winters I’d been used to in my home country. 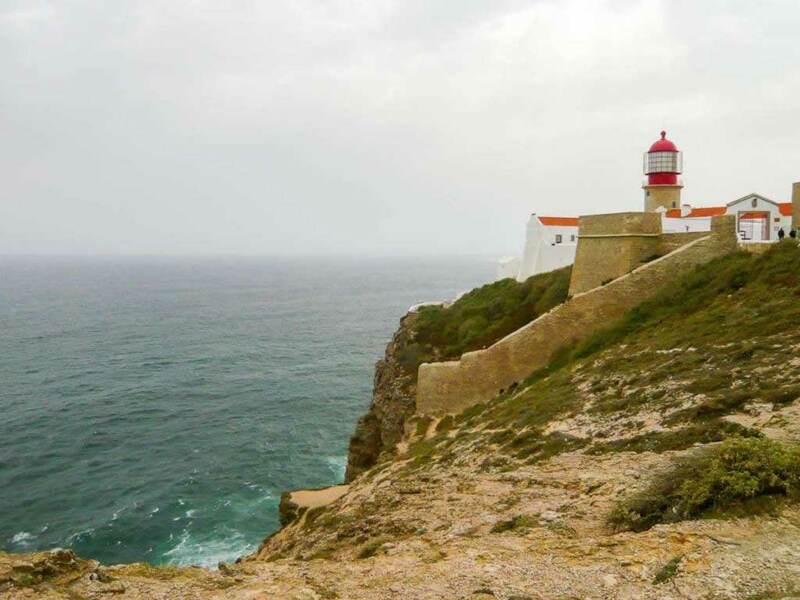 However, Cape Saint Vincent is exposed to very strong winds, so there’s no wonder the temperature was much lower than in Pera, Portimao, Albufeira, Silves or even Sagres. The landscape is absolutely stunning. 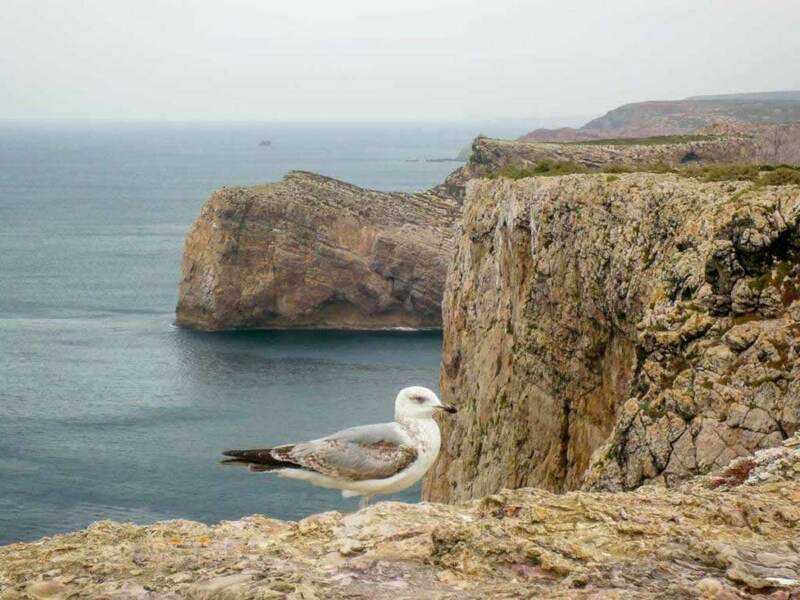 The lighthouse, the cliffs and the seagulls remind of all scary movies featuring birds that exist. It looks like the end of the world. The cliffs are similar to the rock formations in Meteora. 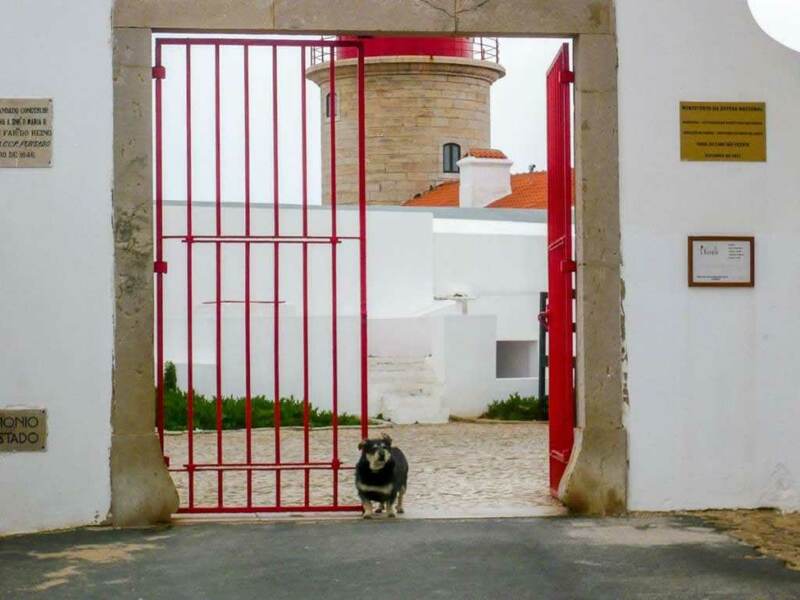 Inside the lighthouse you’ll find a rooftop bar and an old dog guarding the place (I’m not sure if the dog is still there, as it looked very old). Because of the strong winds that blow almost all year round, there isn’t much vegetation on the cliffs at Cape Saint Vincent. 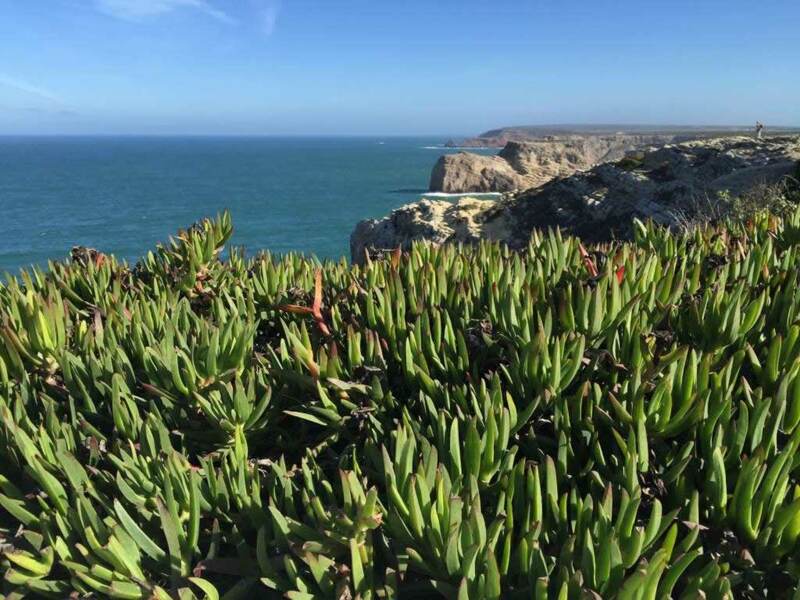 The only plants that can resist here are succulents with thick leaves and robust flowers. The following photo shows the same cliffs in January. You can see there’s barely any green. The seagulls are noisy and they don’t care about people. You can get as close as to take proper closeup photos of these birds. 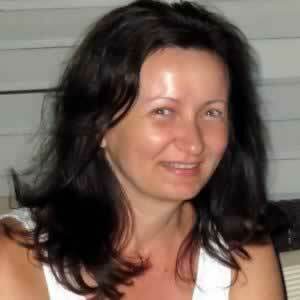 Yet, they look anything but friendly. 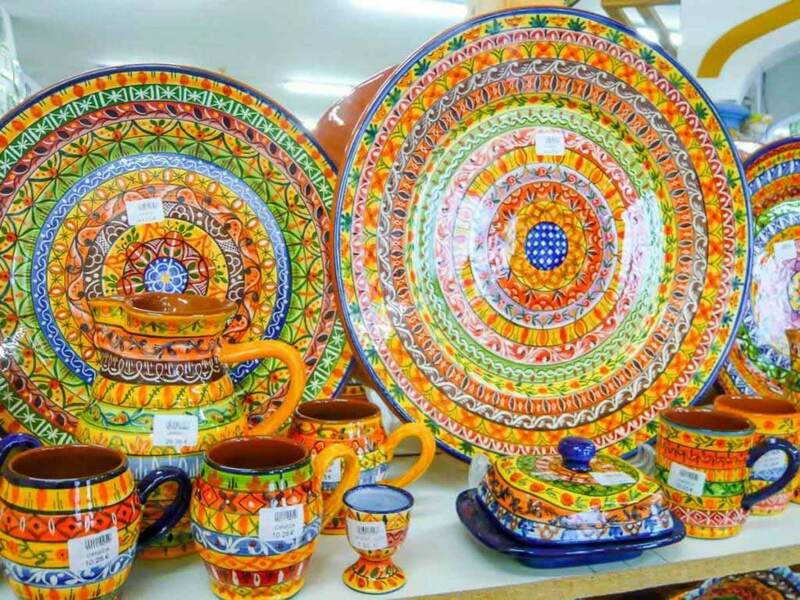 The last inhabited dwelling before reaching Cape Saint Vincent is a ceramic shop with amazing tiles, plates and pots. 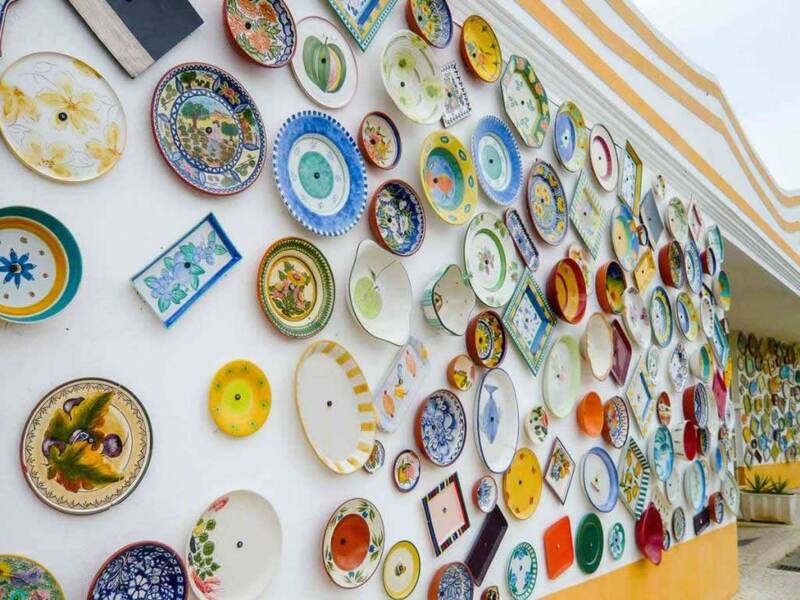 Their facade is covered in vividly colored plates featuring traditional patterns and designs. Apparently I’m not the only one who had this “end of the world” feeling. The Phoenicians, the Carthaginians, the Greeks and the Romans considered this sacred location as being the end of the world. The fortress dates from the 16th century. 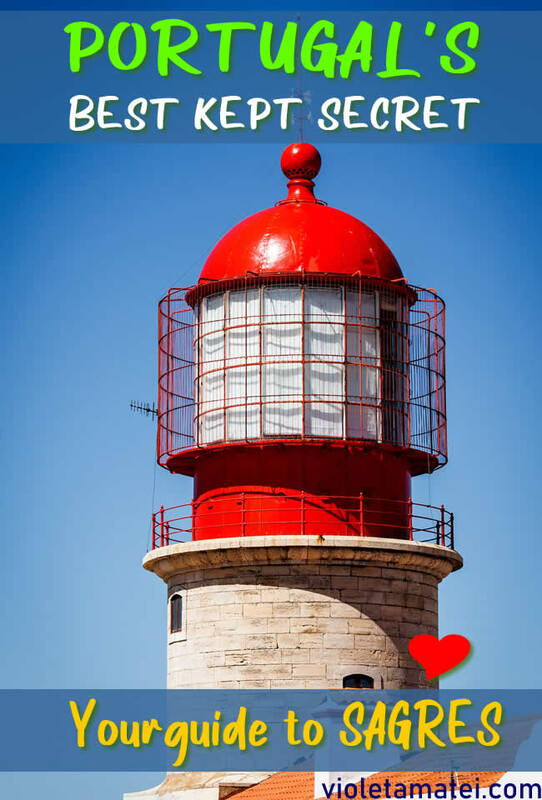 Since 1946, it is home to the day lighthouse. 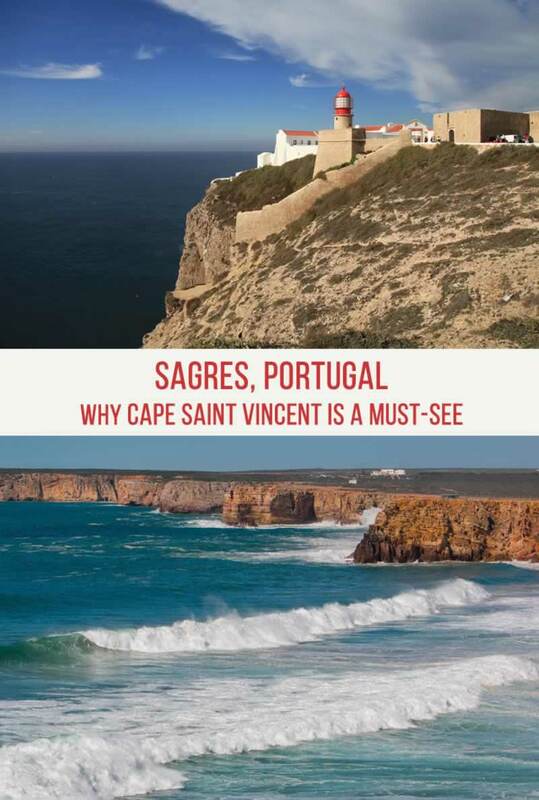 If you are in the Algarve and you want to take a road trip to Sagres, consider stretching it to reach Cape Saint Vincent. It is a scenic place, full of mystery and charm. 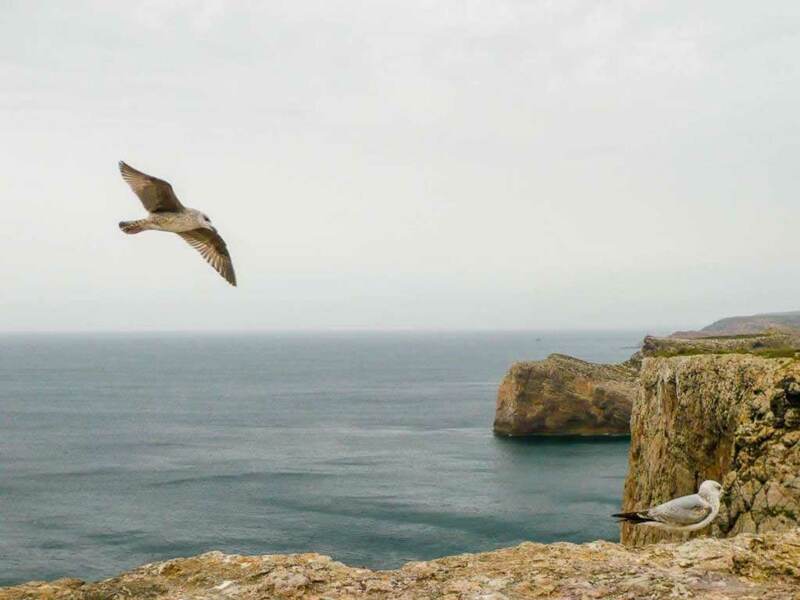 Should you set your base in Sagres Portugal, you can explore the southern and western coasts of this wild but welcoming country.